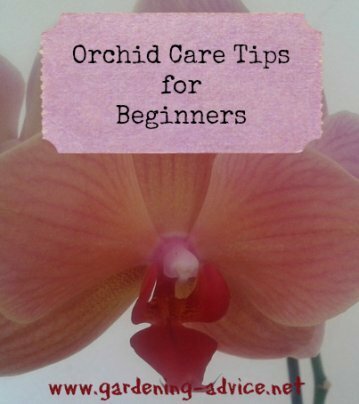 Growing Orchids For Beginners - 8 Tips and Care Instructions including orchid types that are suitable for beginners. Orchids are not as difficult to care for as many people think! I find that my orchids are some of the easiest of all my house plants to look after. They require very little time once you are aware that their care is a little bit different to other indoor plants. The most important thing to remember with these beautiful plants is: less is more!! Most mistakes with orchids are made with (too much) watering and feeding! 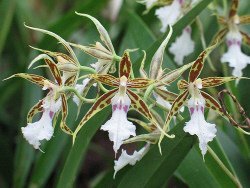 As a beginner with orchids it is very important to choose the right orchid types that grow easily and that are low maintenance. Best beginners orchids are Phalaenopsis, Odontoglossum, Oncidium and Miltonia. 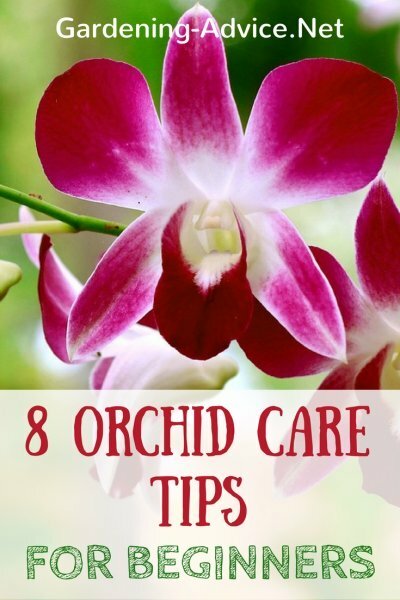 With the following tips and orchid care instructions you should have no problem to succeed with these easy grow orchids. 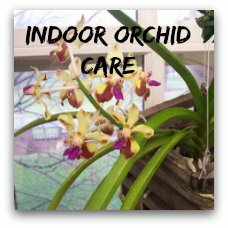 Watch this short video for some quick and easy orchid care tips! 1. Pick a spot for your orchid plant that is bright but has no direct sunshine. 2. Take care when buying orchids: Make sure you acquire a healthy, good quality plant to begin with. 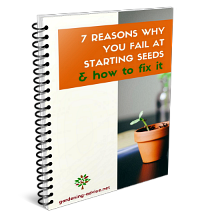 Good garden centers and specialist growers will help you selecting a healthy specimen. Make sure that the plants are wrapped well in newspaper for transport if outside temperatures are cold. 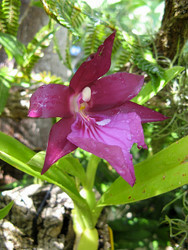 Some orchids are protected species. 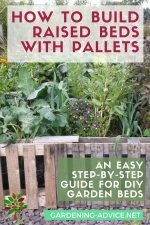 Make sure that you buy a cultivated plant and not one that has been taken from the wild. 3. Orchid potting mix has to be coarse. It has to allow a lot of air through it. Remember, most orchids are epiphytes and don't grow in regular soil. As a beginner with orchid growing it is best to buy a pre-mixed orchid potting mix when repotting orchids. 4. The best orchid planter is a plastic pot! They are better than clay pots. These are porous and water evaporates constantly through them leaving behind salts. These salts burn and damage the delicate roots of the orchids. Shallow orchid pots are ideal for epiphytes. You sometimes find wooden or plastic basket orchid planters which are also suitable. 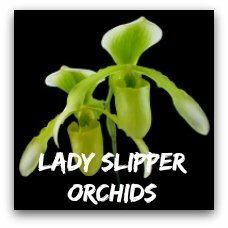 They are great for hanging orchids. You can also use water plant/water lily pots. These allow air into the potting mix which is ideal for root health. You might have to line these pots with some netting to prevent the compost from washing out when you are watering the plants. 5. 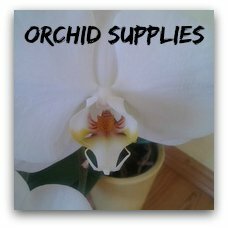 Watering orchids: Orchids hate to be overwatered! Never ever leave water sitting in the pots! This is the kiss of death for your orchid and the most common reason for failure!!!! The roots will start rotting and the leaves will start yellowing and fall off. Most people water even more because they think the plant does not get enough water. In most cases, you won't be able to save these plants. The best technique for watering orchids, in my opinion, is to take the plant to a sink. Then hold the pot under a running tap until the water runs out at the bottom. Alternatively, you can submerge the whole pot in water an let the plant soak up the water for 10-15 minutes. Always drain the plants off very well afterward before putting them back into their place. Do that about every 7-10 days during the growth period. Don't water your orchid if the compost still feels moist. It is best to let the orchid compost dry out completely before watering your orchid. After flowering, most orchids need a rest period with a less frequent watering interval. 6. 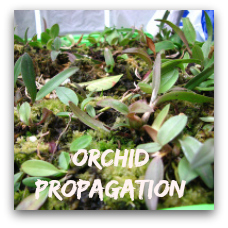 Fertilizing orchids: As a beginner with growing orchids it is best to buy a special orchid fertilizer. These are not as strong as regular fertilizers and formulated to suit the delicate orchid roots. Dilute the fertilizer in accordance to the instructions on the pack. Feed your orchid every third watering. 7. Orchids like to sprayed with soft water regularly. 8. After bloom care for orchids: Remove any withered flower stems. Some orchids like Phalaenopsis can rebloom on the same stem again. Cut them back only as far as they die back. Most orchids need a rest period after the growth season. Reduce watering and feeding during this time. 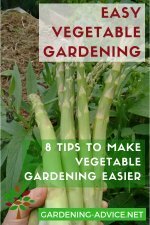 You will know when the rest period is over if you see new growth of foliage or flower stems. Start watering and feeding more frequently again then. 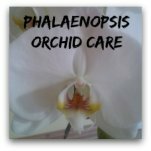 Check for Phalaenopsis care tips here. 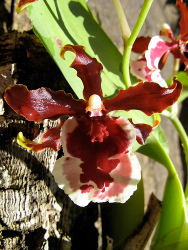 Odontoglossum orchids originate from Guatemala and there are over 100 varieties known. They like a cool place and flower in the autumn. They like to be repotted before they start growing. Oncidium orchids are closely related to Odontoglossum. There are more than 500 varieties known. They originate from Middle and South America. Oncidium species like a cool place but the Oncidium hybrids can be kept in warmer rooms as well. An important factor in Oncidium care is a bright place and a longer rest period or they don't flower well. Miltonias are very robust and vigorous. Their origin is Brasilia. They flower over a long period of time. Miltonia orchids come with red, pink, yellow or white flowers. These orchids hardly need a rest period because they are nearly always growing. 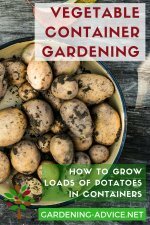 Watering should be kept consistent, neither too wet or too dry. They don't like too much sunlight that can burn their leaves. Here are more related pages for you..